Data breaches. We have seen the headlines. “Equifax data breach”. The worst thing is that we will be feeling this breach for decades. How long can people sit with stolen information before they take any action? Honestly, this is the stuff of nightmares. This is why preventative maintenance is so important. You don’t want to be caught after the fact. You want to ensure that your company is already protected in case something like this happens. In a previous post, we talked about the important of having a disaster recovery plan. It focused more on ensuring you had your data after a major disaster. But what do you do before that happens? What kind of steps can you take so you are protected in the first place? 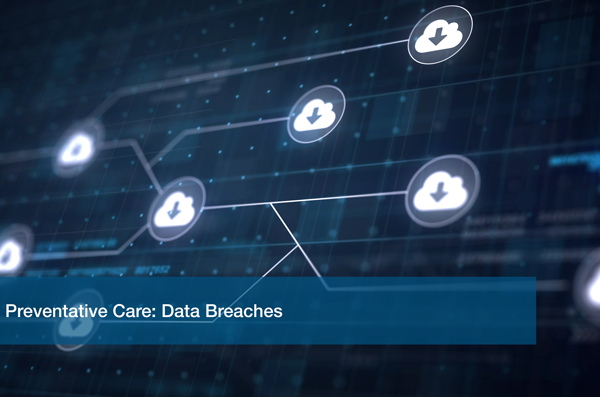 First and foremost, learn about data breaches! Seek out the latest news on incidents and find out how the companies were affected. Research goes a long way! The resources out there are endless; unfortunately, there are many examples out there as well. You can’t arm yourself against something if you don’t understand it. Fighting data breaches means arming yourself not only with digital tools, but with knowledge as well. Find your data! How are you going to know it’s safe if you don’t even know where it is? Locate your data and then review if that is the best place for it to be. Review this with your IT department (or trusted IT partner!) to ensure that your data isn’t somewhere where it can be reached by digital threats. It’s always good to have backup data in a different location. Your worst nightmare has come true. Your data has been breached. What do you do? Unplug everything? Notify someone? Who do you notify? Don’t panic! Create data protection policies and plans that employees will follow if such an incident were to occur. You want them to know exactly what to do. The moments after a data breach has been found are crucial. You don’t want people running around in panic. Train everyone on how they should react. And we mean everyone. Even managers and high corporate employees should know how to handle security breaches. Finally, secure your data. Take the necessary steps to lock confidential information. Keep track of who has access to that information. Keep it updated so if something happens and you must recover your data you don’t have outdated info to work with. It might seem tedious. It might seem like a long process. What’s the saying? Better to be safe than sorry. We know this can all seem a bit much, but trust us when we say preventative maintenance is highly important for businesses. Take the proper steps beforehand to protect you after the fact. Not sure where to start? ITC can help! We can evaluate your current security strategy and figure out the best course of action for your business. Schedule a free IT analysis with one of our experts and we can safeguard and monitor your data for you. Why worry when you can have a trusted IT partner to take care of your business? Call or visit us today!